DeathofmyPet.com and the EBook, I Lost My Best Friend Today, were written by Judy H. Wright. 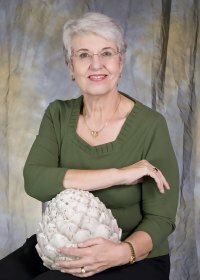 Judy is a life educator, family coach, and keynote speaker. She has written more than 20 books, hundreds of articles and speaks internationally on family, parenting and relationship issues, including communication, encouragement, and end of life. She also focuses on personal issues like anxiety, depression, confidence and self-esteem and works with many small and large organizations–from Head Start to child care resource centers. Lately, Judy has been interested in research and observation on the use of pets in building resiliency and overcoming trauma. She is a registered Pet Bereavement Coach and offers one-on-one mentoring to help those who have lost a best friend and beloved pet. Contact her at http://www.judyhwright.com for a free 20 minute session to see if you resonate with her method of coaching. You will be glad you did. The artichoke also became a teaching lesson when Judy, as a young military mother, moved her family into military housing in California to find a surprising collection of artichokes planted in their yard. Knowing it takes two years for the vegetable to grow, Judy realized the original gardener never saw the fruits of their labor, but planted the artichokes anyway. Judy was reminded by this experience that many times in life our actions toward others are felt by people we will never meet, but we plant the seeds of kindness anyway.